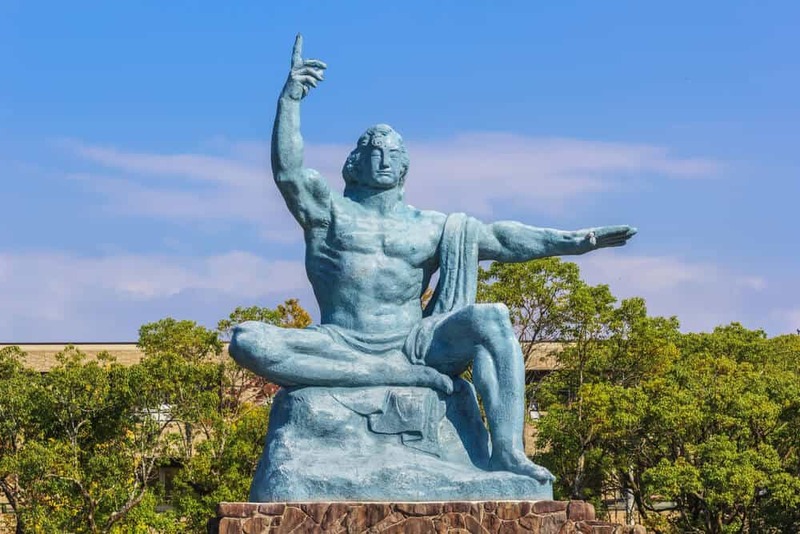 Nagasaki has a rich cultural history, but it’s mostly known for one tragic event: the atomic bombing on the ninth of August in 1945. In a few seconds, around 40,000 people died and Nagasaki changed forever. Seventy-two years later, Nagasaki has rebuilt but not forgotten. The number of living survivors decreases each year. 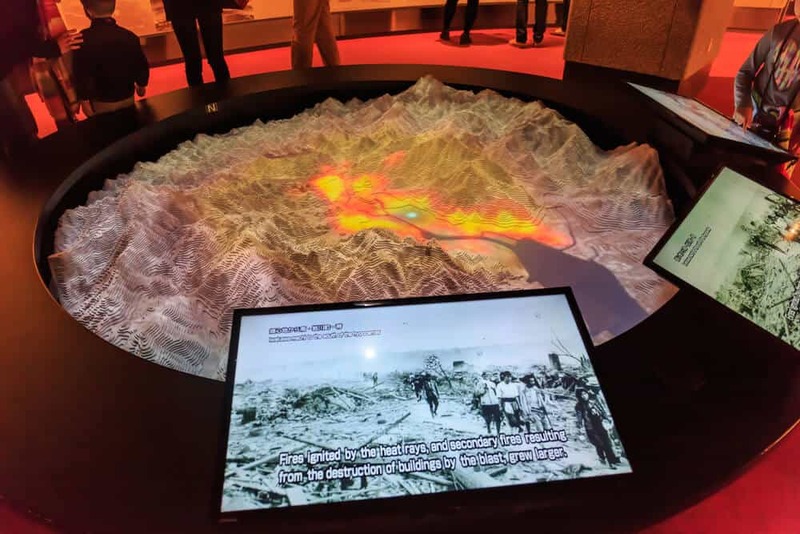 The Nagasaki Atomic Bomb Museum, The National Peace Memorial Hall for the Atomic Bomb Victims, and The Peace Park become even more important to remind us of that day of destruction. The museum and memorial are must-visits, but they challenge you emotionally. They’re a reminder of the costs of war and the dangers of nuclear weapons. However, all the attractions in the area aren’t so serious. 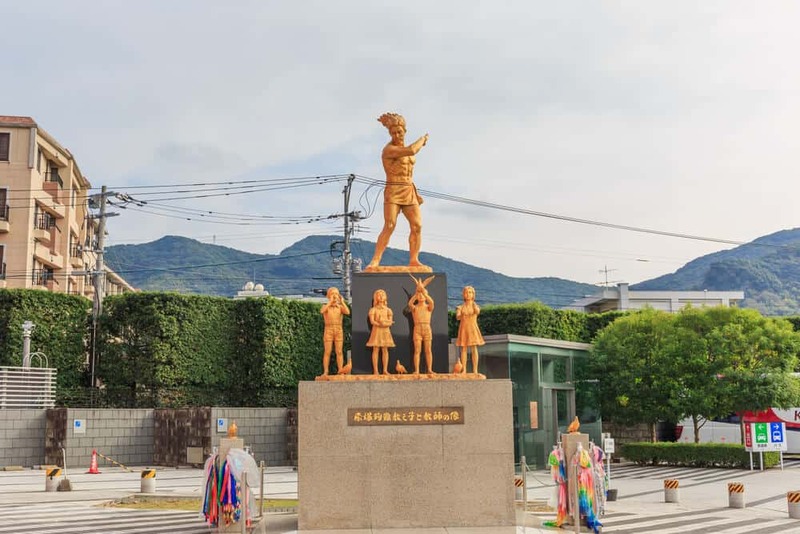 Nagasaki also has three fun attractions when you’re ready for something a little more lighthearted. Gunkanjima is an abandoned mine on an island resembling a ship. The island’s eerie atmosphere attracts urban explorers. The Penguin Aquarium needs no explanation. You should go here to lift your spirits after you visit the Atomic Bomb sites. Finally, a trip up Mt. Inasa provides beautiful views of the city. The views let you appreciate the recovery of this remarkable city. 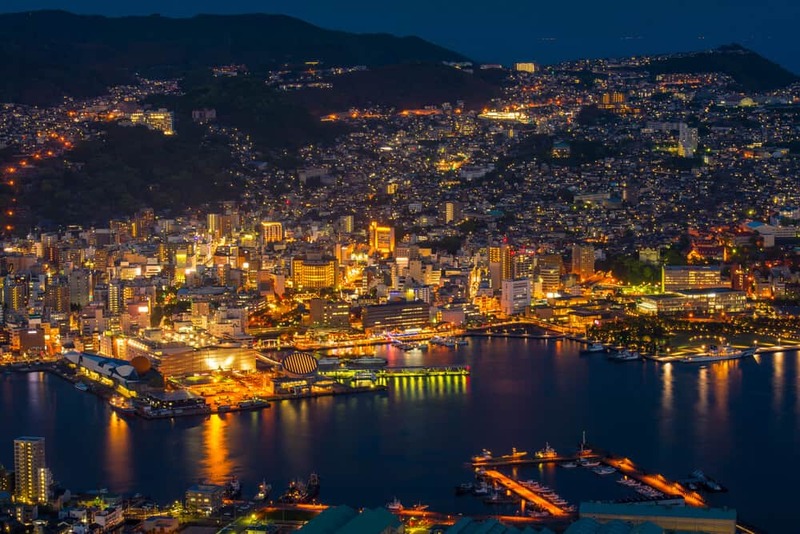 Is a Visit to Nagasaki Worth It? 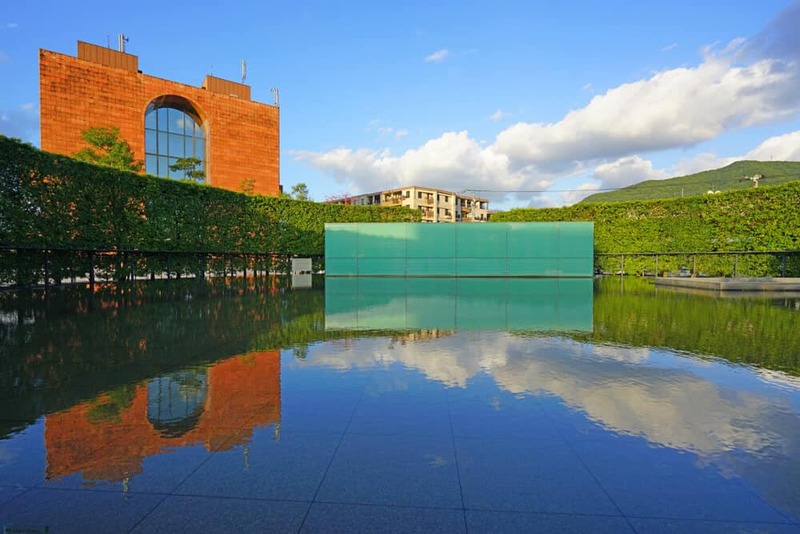 The Nagasaki Atomic Bomb Museum commemorates the victims of the Atomic Bombing. It also focuses on preventing nuclear war. The museum puts a human perspective on the bombing. It also puts the bombing in the context of Japan’s military expansion. 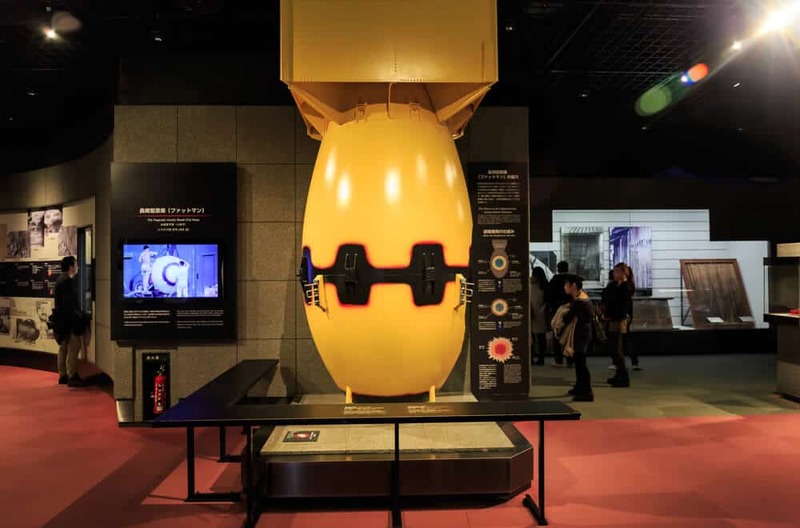 The museum calls for an end to nuclear weapons. 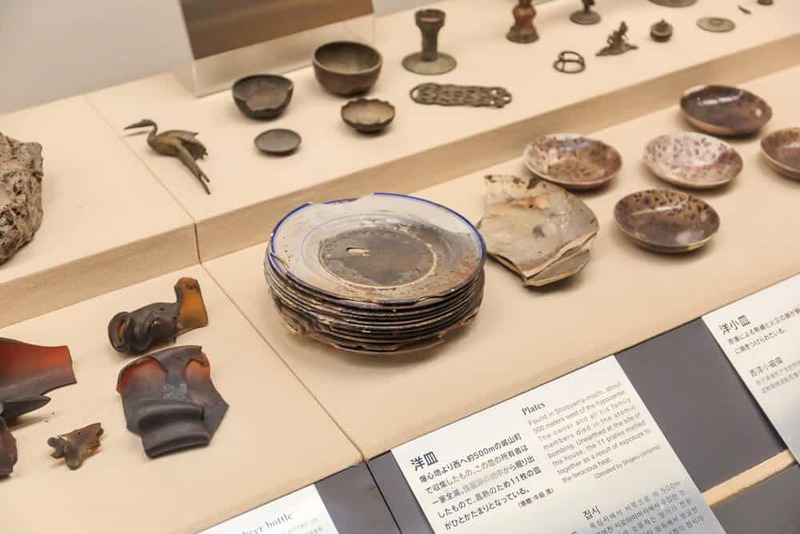 The museum was criticized at first. The government felt it was at odds with official interpretations of the war; the official view tends to downplay Japan’s involvement. Even so, the Museum’s argument against nuclear war is hard to ignore. Warning: Some of the exhibits get quite graphic. Visiting the Museum is an intense experience. You see how 40,000 lives ended in a few seconds. You also get a feel for the horror left in the bomb’s wake. The museum leaves you with a feeling difficult to put into words. 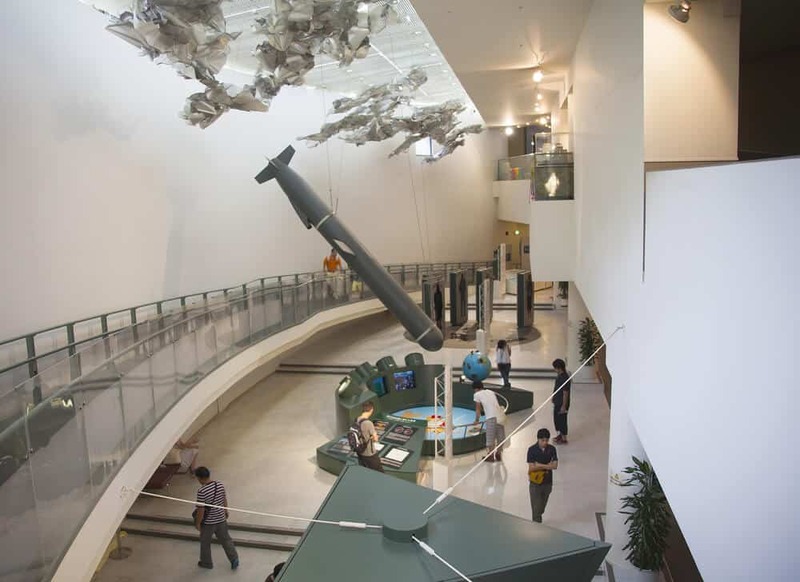 The first section of the museum focuses on Nagasaki before the bombing. Photos and maps showcase life in the city, particularly the Urakami district. Urakami was the bomb’s target because munitions were manufactured there. The second section covers the destruction the bomb caused. Some exhibits focus on the city as a whole; others tell the stories of families and individuals. The effects of radiation on the survivors are well documented. The violent destruction and the terrible loss of life will bring a tear to your eye. The final section focuses on the history and development of nuclear weapons. It also traces Japan’s involvement in the war, letting the facts speak for themselves. The section ends with Nagasaki’s Peace Declaration. Visitors usually spend two to three hours here, but it’s important to pace yourself. Allow time to see the exhibits, but also allow time to process them. Honor the victims of the blast and the intentions of the museum. English audio guides are available. I recommend using one, as they give you a better understanding of the exhibits. You can get a guide at the ticket counter on the 2nd underground floor. The Peace Memorial Hall is a place to reflect on the cost of war. The focus here is on personal stories. You’ll see diary entries, photos of victims, and first-hand accounts of the bombing. The Hall hosts international events in the conference rooms. Most focus on ending nuclear warfare. Medical conferences studying the effects of radiation are also held in the Hall. 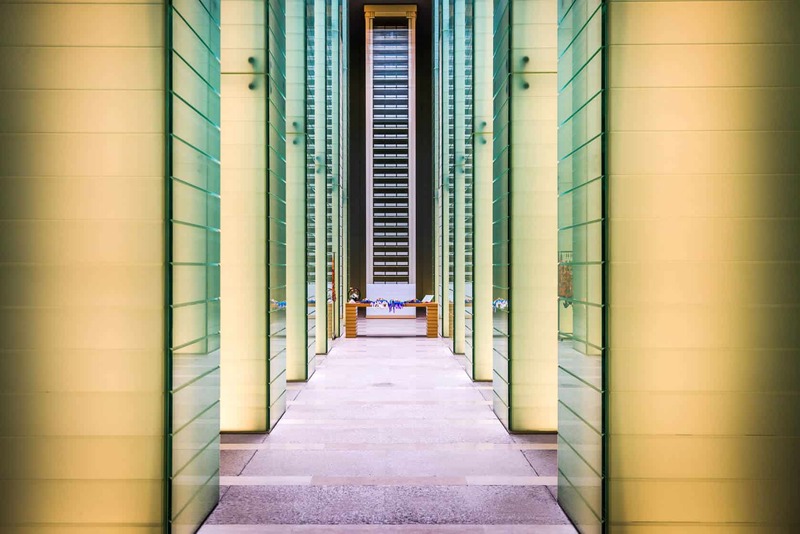 The memorial uses light and glass to create a unique atmosphere. The twelve pillars of the hall face the center of the bombing; they represent a wish for peace. The pillars support a tree-lined water basin. 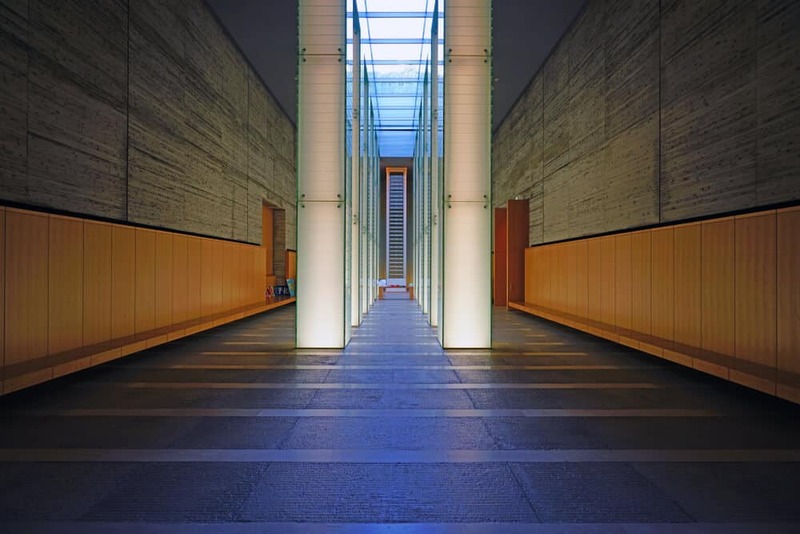 The water and shade in the hall are symbolic. Many survivors of the blast cried out for water immediately following the bombing. The Peace Park sits at ground zero of the atomic blast. 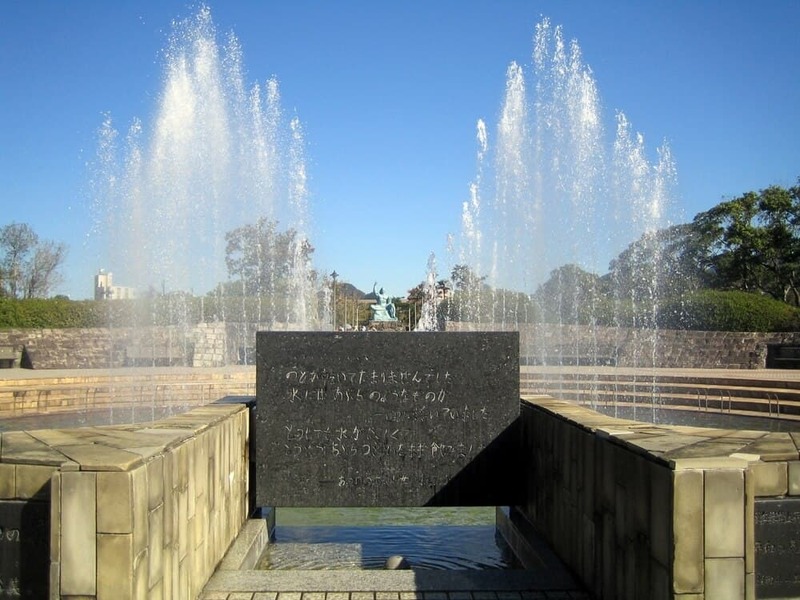 The park commemorates the destruction and tragic loss of life. The park also expresses a wish for peace. You’ll see the remains of the old Urakami cathedral. The Cathedral was an iconic building in Nagasaki before the blast. People believed the area would remain barren. Many experts said vegetation would be unable to grow for 75 years. The park’s green grass and trees are symbols of hope and resiliency to local residents. 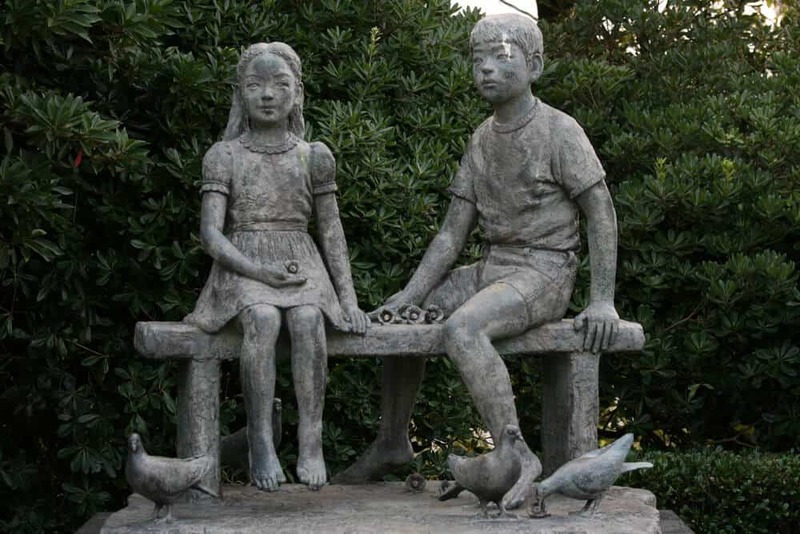 The sculptures represent a wish for peace. Many of the sculptures were donated by foreign countries. The Peace Memorial Ceremony, led by the mayor of Nagasaki, takes place in the park every year on August 9th (the day of the bombing). 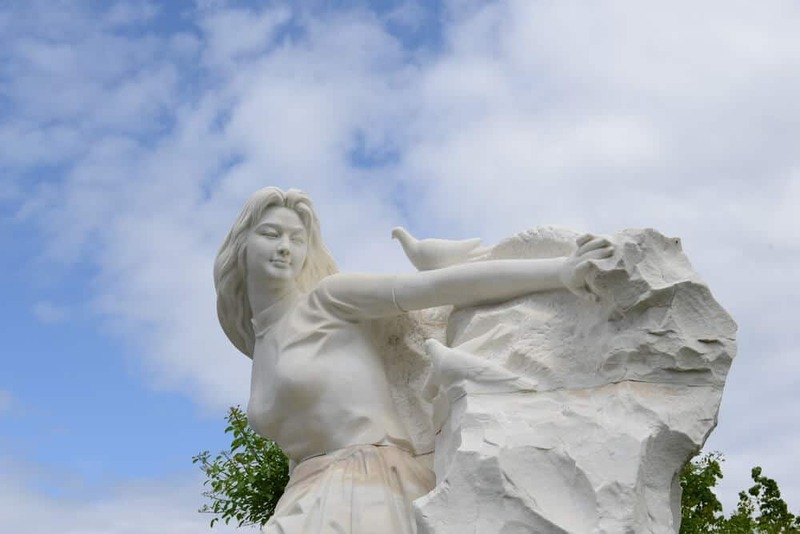 The park’s main monument is the striking Peace Statue. 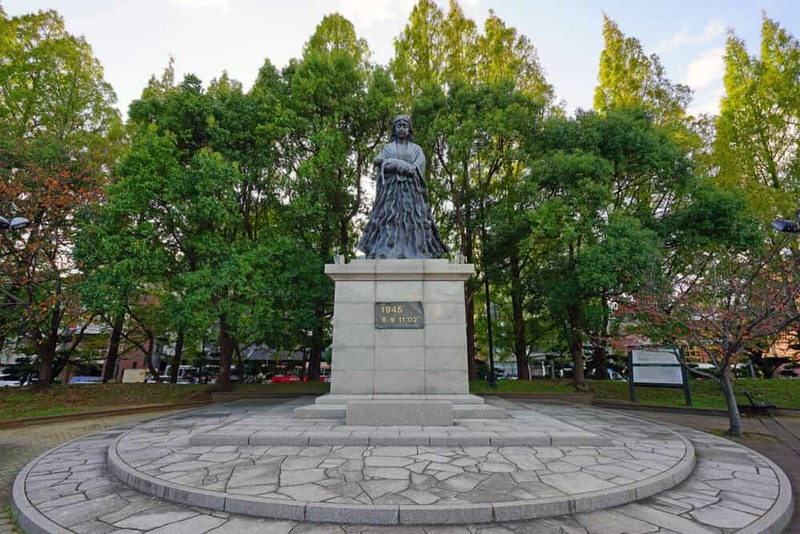 Nagasaki sculptor Seibo Kitamura created the statue. The statue combines Eastern and Western imagery to make a statement about the folly of war. The statue’s face reminds you of a Buddha. It represents a prayer for those who lost their lives. The meditative posture of the right leg symbolizes the need to meditate on the events of Nagasaki. Western influence is seen in the extended left leg, a call to stand against war. The right hand points to the atomic bombing. The open left hand represents the desire for peace. The statue features a list of victims who died after the bombing. It includes those who died from injuries or the effects of the radiation. An elderly survivor of the bombing visits the park on most days. He shares his story and talks about his experiences. At 11:02 am, the time the bomb fell is marked by a song played over the loudspeakers. The song plays every day. To get to the park you go up several steep flights of stairs. If you find stairs difficult, it’s possible to drive part of the way and then take a lift. It takes about an hour to visit the park and take in all the statues. Miners found coal on the tiny 6.3-hectare island in 1810. The island was mined industrially from 1887 to 1974. Gunkanjima was once the most densely populated island in the world. The population reached its peak of 5259 people in 1959. Japan’s first reinforced concrete building was built here in 1916. The seven-story apartment block housed miners. Facilities for the miner’s families were then built. The facilities included schools, hospitals, a town hall, pachinko parlors, cinemas, baths, and shops. Chinese prisoners of war worked in the mines and factories in harsh conditions. Many Koreans were forced to work on Hashima as well. At least 1,300 workers died on the island. Forced laborers worked here from 1930 until the end of the second world war. In 1974, the coal stocks dried up. The area was abandoned in a matter of months. 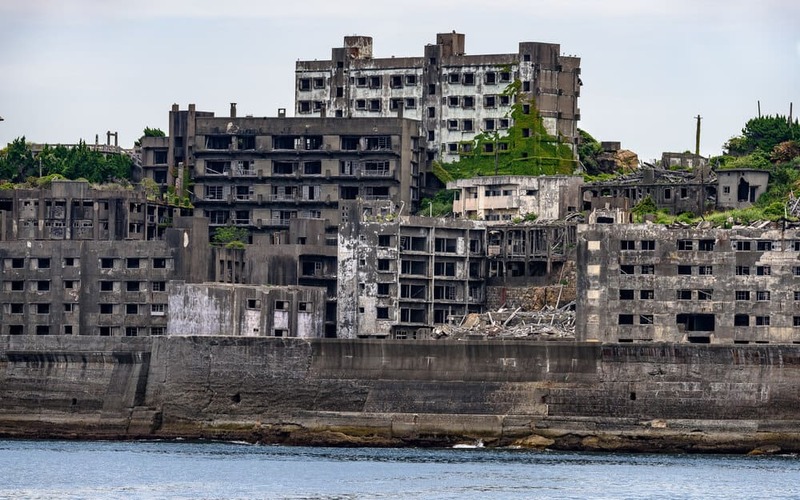 Hashima then went undisturbed for 35 years. 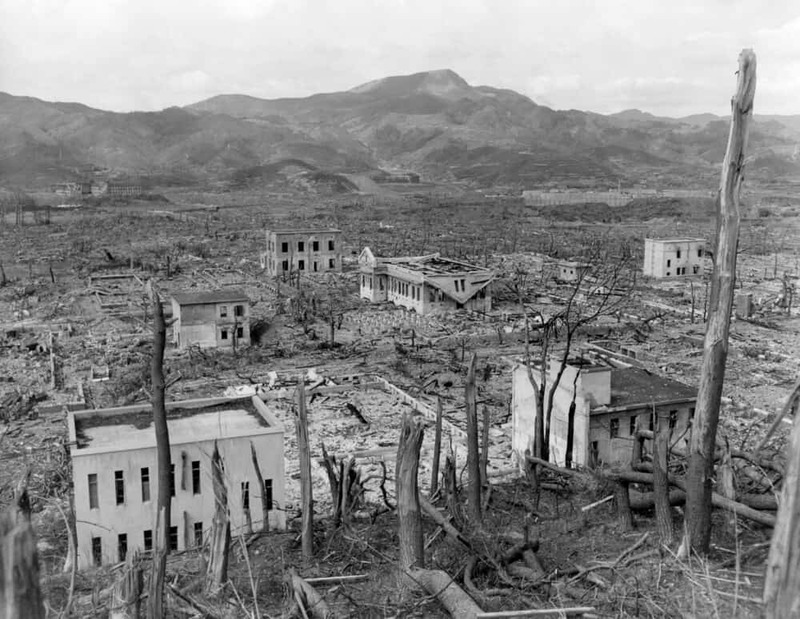 The Nagasaki government eventually recognized the significance of the undisturbed housing complexes. Many buildings date from the Taisho and Showa periods. Nagasaki City opened part of Hashima for tours. Because of the danger posed by the decaying buildings, 95% of the island is off-limits. The remaining 5% can only be seen as part of a tour. The island opened to tourists in 2009. 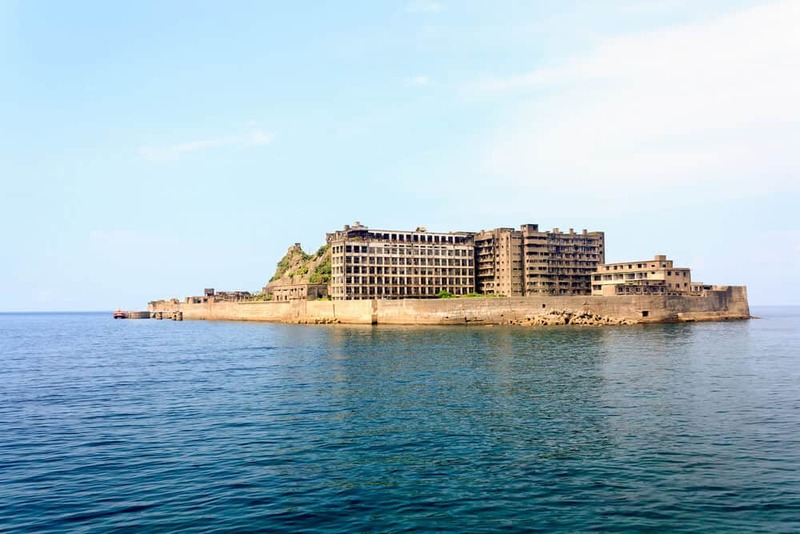 In 2015, Hashima was recognized as a UNESCO World Heritage site. The site commemorates Japan’s Meiji Industrial Revolution. Several documentaries have been made about the Island. 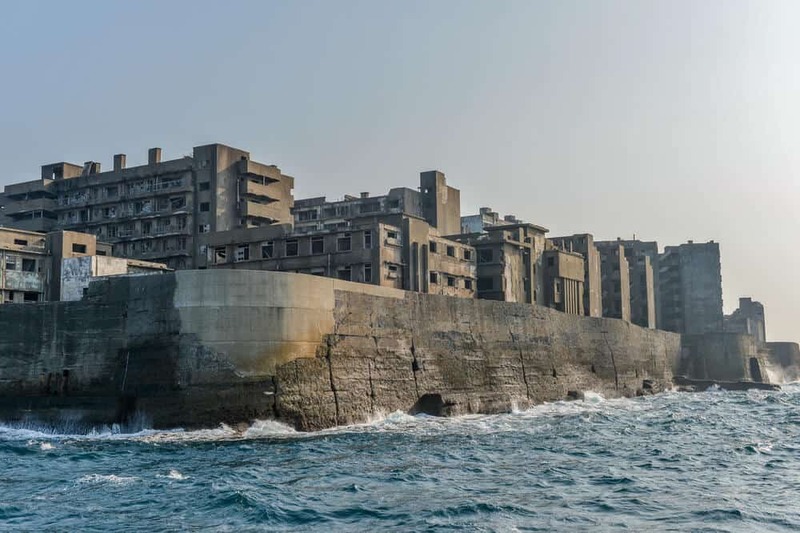 Hashima was also used for filming the 2012 James Bond film Skyfall. 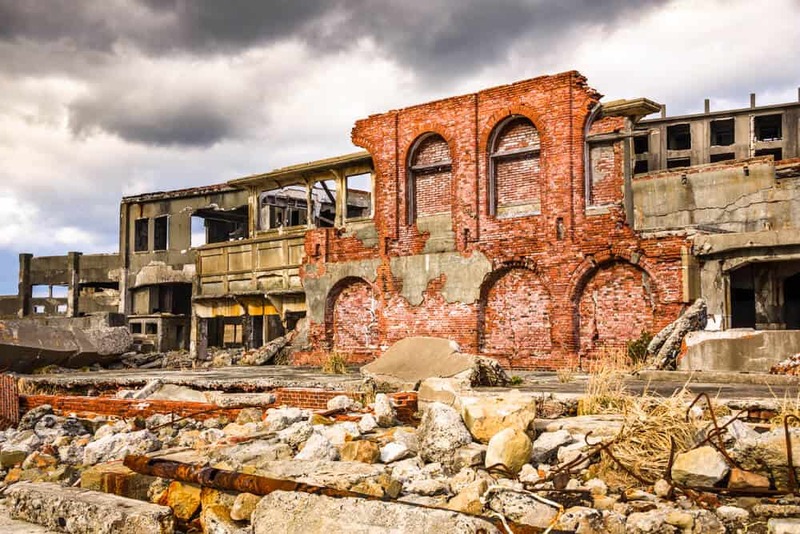 Several companies offer tours of Gunkanjima. Be sure you check where your tour departs from before you go. Some boats leave from the Nagasaki Port Ferry Terminal near the Ohato tram stop. Others leave from the Tokiwa Terminal, near the Ourakaikandori tram stop. The voyage to Gunkanjima takes fifty minutes, and the tour takes about an hour. The tour and voyage combined take a total of three hours. The cost ranges from 3,500 – 4,500 yen per person. You pay an extra 300 yen landing fee when you arrive at Gunkanjima Island. The tours get crowded on holidays and weekends. Book in advance. Make your arrangements well in advance if you want an English speaking guide. 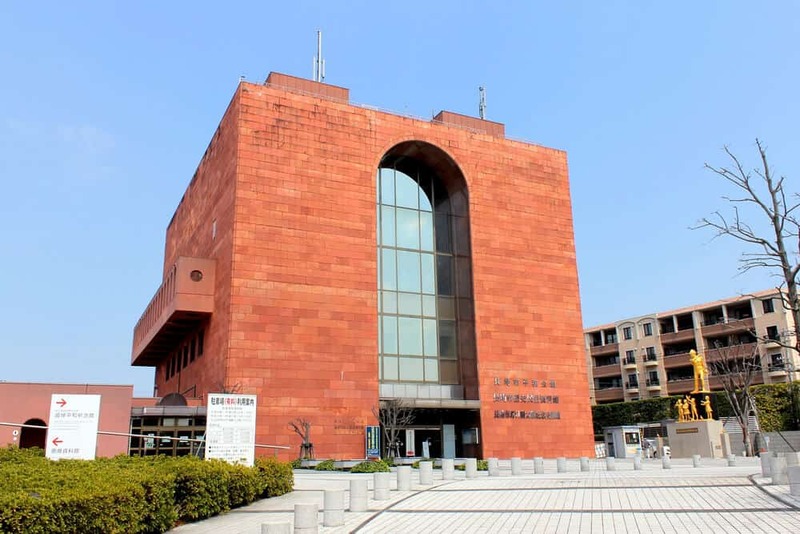 Tours include entry to the Gunkanjima Digital Museum. *In addition to the ticket price, there is a separate landing fee charge of 300 yen for adults and 150 yen for children. Group discounts for fifteen or more people. Tour includes the Glover Garden. If you love penguins, the Nagasaki Penguin Aquarium is the place for you. It’s not only cute… it’s educational. 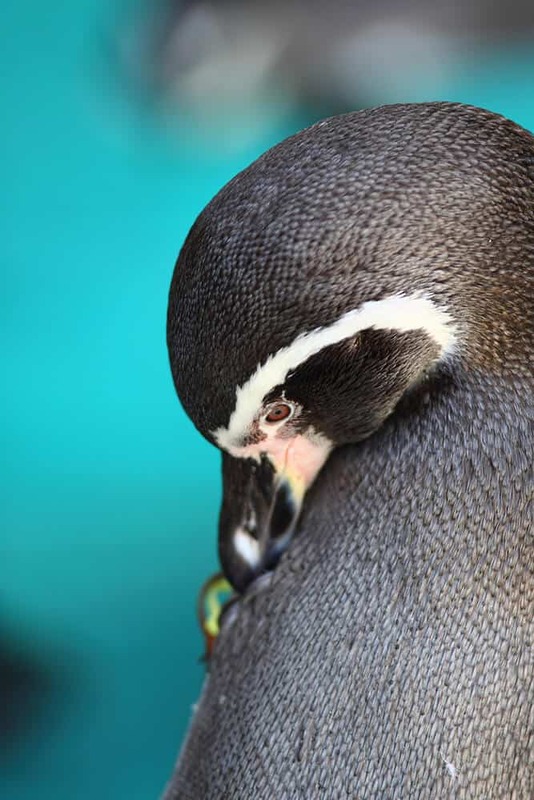 You’ll see nine of the eighteen different penguin species at this aquarium. Over half of the 180 penguins were born in Nagasaki. They include five sub-Antarctic species and four temperate species. Don’t miss the fantastically named jackass penguin. There’s a penguin parade. You can feed and touch the penguins. The aquarium fences off part of the ocean for the penguins to swim in. You get a unique opportunity to see penguins frolic in the sea! The penguins are the main attraction, but the aquarium also has a decent collection of fish. They include Mekong giant catfish and Christmas tree worms. The nature zone features interesting Japanese insects, such as the rhinoceros beetle. You can even go sea kayaking. 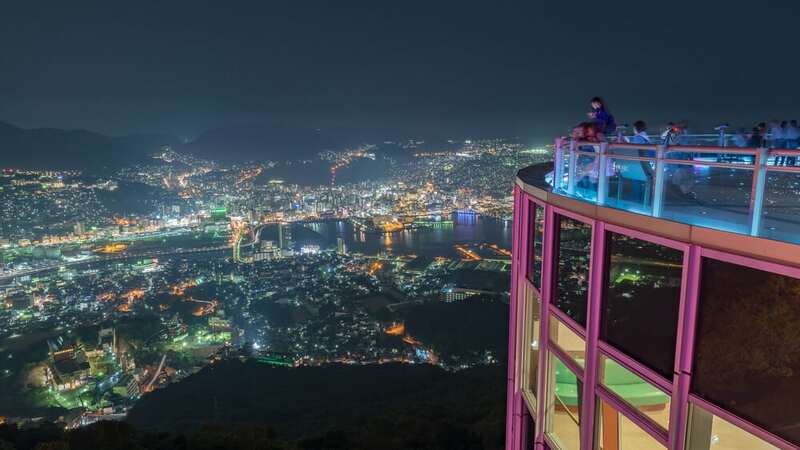 The Mount Inasa observation platform gives you stunning views of the city and harbor. It rises 333 meters above the city. 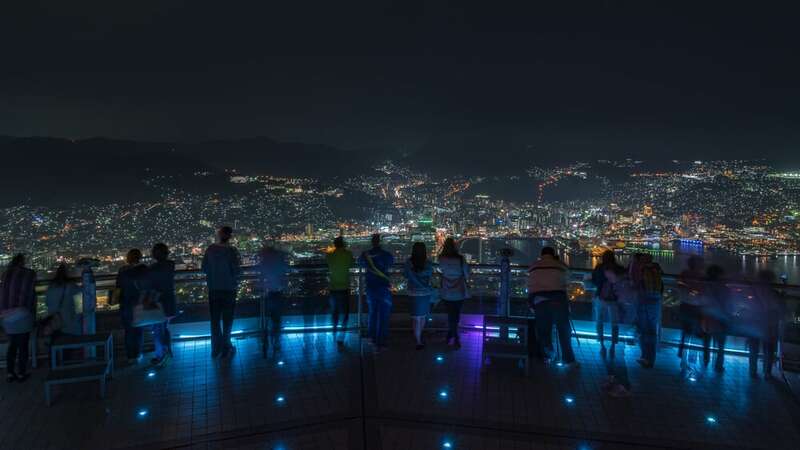 The view has long ranked as one of Japan’s top three night views, along with Kobe and Hakodate. It’s considered by many to be one of the best city night views in the world. It’s great during the day as well. Don’t miss the azaleas on the nearby hills in spring! There are several ways you can get to the top of Mt. Inasa. 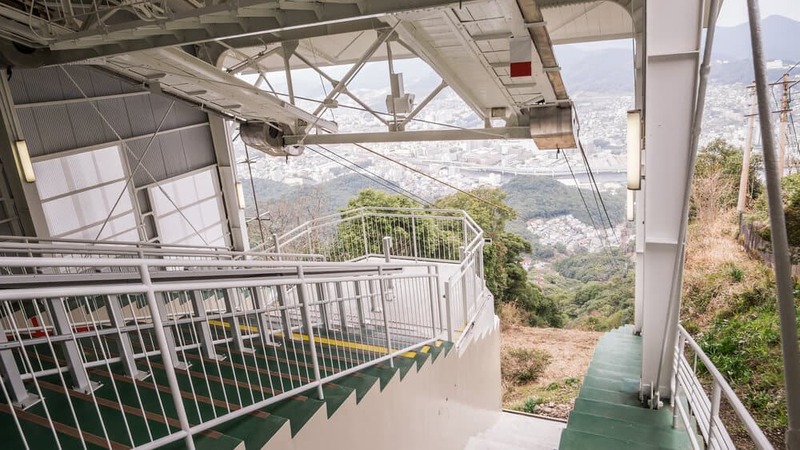 The Nagasaki Ropeway (740 yen one-way/1,230 yen round trip) takes about five minutes. It’s the most popular option. The ropeway gets very crowded at peak times. The Ropeway runs from 9:00am – 10:00pm, with gondolas departing every 15 – 20 minutes. A free shuttle bus connects the Ropeway to five major hotels and Nagasaki station. Since the buses fill up fast, it’s worth buying ticket beforehand. Otherwise you can take bus numbers 3 or 4 from Nagasaki Station. Get off at Ropeway-mae bus stop. The fare is 150 yen and takes ten minutes. You can also take a bus to get fairly close to the summit. Bus number 5 makes two trips to the parking lot below the summit every hour (except in winter). You still have to walk up some steps to get to the summit. The trip there and back costs 300 yen. The last bus leaves from Inasa at 9:05pm. Be sure to double check to see if any times change and watch the time so you don’t get stranded! If you have a car you can drive to the summit. You’ll find ample parking at the top. 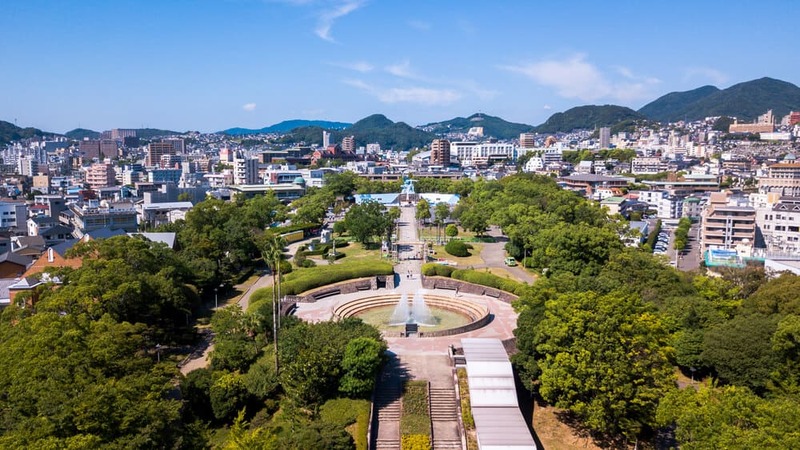 Nagasaki has an incredible variety of attractions. They range from the sad to the historic to the interesting. The views are absolutely stunning. Tours to Gunkanjima only run in good weather. The seas around the island are notoriously rough. The tour boats provide vomit bags (I’m not kidding). Bring seasickness medication if you need it. Your Turn: Have You Been to Nagasaki? What did you see? Would you recommend anything we missed? Did you check out the view from Mt. Inasa at night? Let us know in the comments. Also, let us know if anything in this article made your must-visit list. 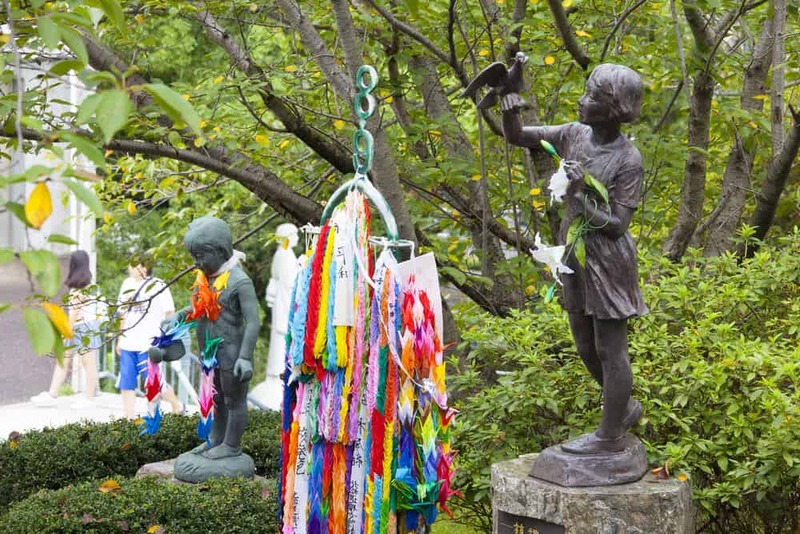 If you ever find yourself anywhere near Nagasaki, the bomb-related memorials are well worth the visit. Don’t forget to share this article with your friends. The memorials, the view from Mt. 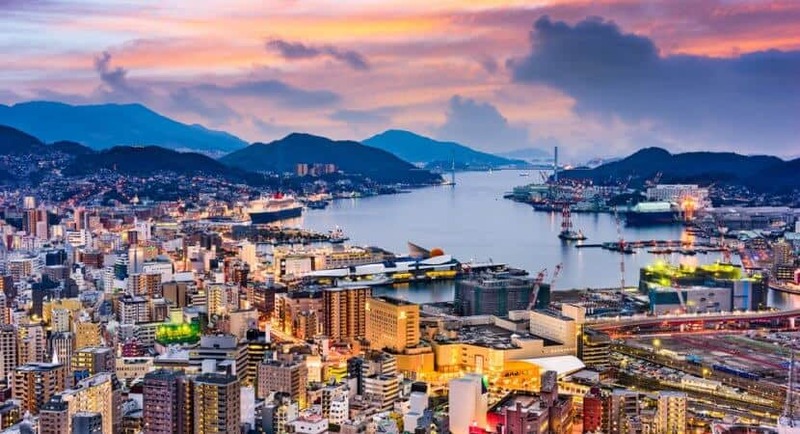 Inasa, and the Penguin Aquarium make a trip to Nagasaki something you’ll always remember.